Lots of Caribbean travelers plan trips around festivals or other big events, but there are also fun things happening in most island destinations no matter when you travel. Going to the market is a weekly tradition that both locals and visitors can enjoy, for example, and most islands' social calendar also includes weekly street parties, sometimes called "​jump-ups," that are a great way to immerse yourself in the local culture, food, music, and spirits. Call them jump-ups, limes, fetes, or just good old street parties: the Caribbean has some of the best weekly bashes you'll find anywhere. Gros Islet in St. Lucia has a lively Friday night jump up, where adventurous visitors revel in hot dance music and cold beer. In Antigua, the sunset party on Shirley Heights is the place to be each Sunday night. On Tobago, "Sunday School" is the tongue-in-cheek name for the weekly dance party at Buccoo Beach, with steel pan music early and dancehall and soca into the wee hours. OK, these are monthly -- when the moon is full, obviously -- not weekly, but you've still got maybe a one-in-four chance that your trip will coincide with one of these great, all-night parties if you're traveling to Tortola, where the Bomba Shack hosts the Caribbean's looniest party. 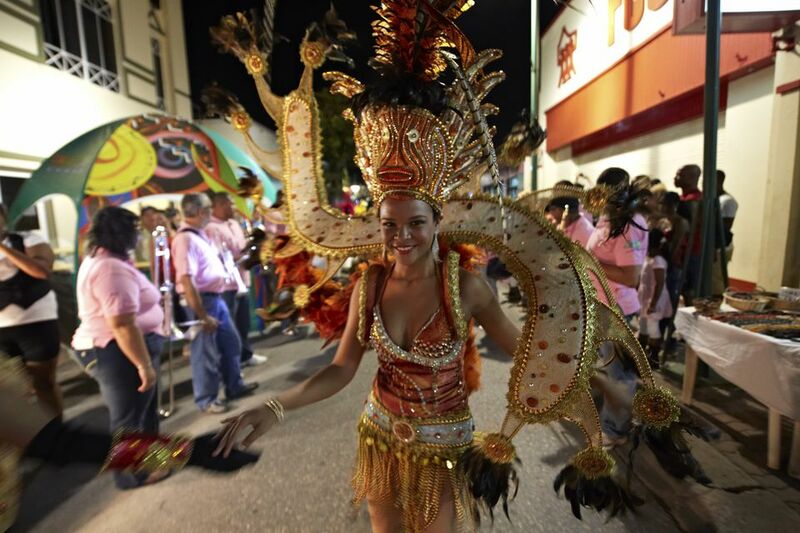 The family-friendly Carubbian Festival takes place in San Nicolas -- ​Aruba's less visited industrial center -- every Thursday night from 6:00 p. m. to 10 p.m., and highlights the multicultural charms of Aruba’s “Sunrise City." The weekly event features Aruban and Caribbean food and local entertainers parading down a pedestrian mall filled with food and handicraft vendors.